Let Our Membership Coaching System Work For You. CallTheBizPro.Com is a Membership System that is focused on powerful educational and training concepts that get results. Ideas, concepts and solutions shouldn’t be difficult for you to implement and add to your current method of operation. When training is done right by incorporating my techniques into your business lifestyle, these ideas and techniques should be as natural as putting on your shoes. 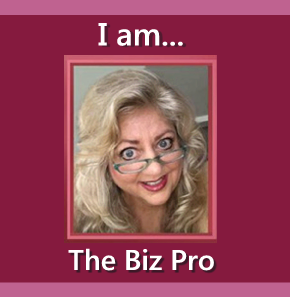 I decided to start CallTheBizPro.Com to partner with America’s entrepreneurs and to be an effective resource that would help the small business person to have access to my extensive audio library, videos, live training and much more. Our membership site is really simple to follow. We have three membership levels, a Free Membership, Starter Membership and Premium Membership. Think about the FREE Membership like taking a test-drive of the basic elements of our system. Our PREMIUM membership provides each member complete access to all of my training tools and elements for an affordable monthly subscription! Our Starter Membership offers our members access to ALL of Karlyn’s Monday Night Conference Training Calls and her Monday Night Training Archives. Listen to this K-Tip Audio Coaching and Training and see what you think of my training style. K-Tips are 2 minute training’s for people on the go. Training on The Go! I hope to see you on my training calls and look forward to you becoming part of our family!